When I was a kid, from time to time we'd pile into the station wagon and cruise down the Schuylkill Expressway, cross the Walt Whitman Bridge and visit our cousins in New Jersey. I enjoyed those drives and the highlight every time was how Philadelphia's Center City pops into view as you turn a bend in the highway. 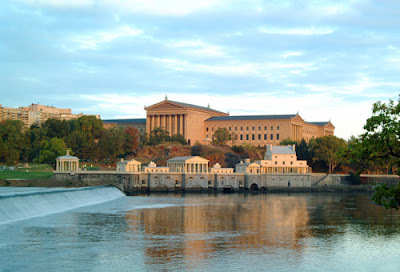 Just before that though, a museum I grew up calling the Parthenon in the Park rises on a bluff above the Schuylkill (it's pronounced skoo-kill) River. The Parthenon in the Park is the Philadelphia Museum of Art, one of the largest and best art museums in the US and it sits in the center of Fairmount Park, the largest urban park in the world. That museum started me on a lifelong appreciation for art. It was in that museum that I saw for the first time works by Rembrandt, el Goya, Caravaggio and the rest of the titans of western art. It was in that museum too that I first saw a Picasso, an Ellsworth Kelly, a Warhol and I first learned to draw the connections that link the modern to the ancient. So it was with great surprise that last week I got an email from my friend Kevin who alerted me to a new exhibition that's starting this month at the Philadelphia Museum of Art. It's no secret that I love all things Alessi and yes, they're an advertiser. 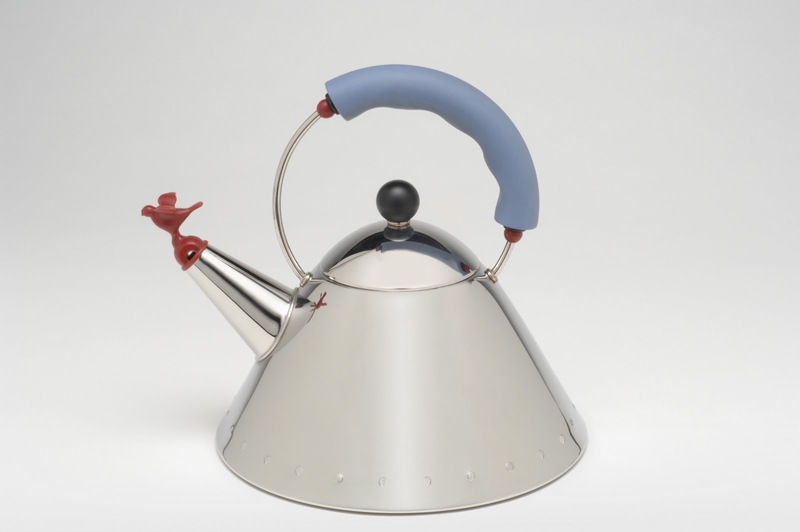 But what a great surprise to learn that the Philadelphia Museum of Art is mounting Alessi: Ethical and Radical from November 21st through April 10th, 2011. Alessi has been busily revolutionizing industrial design since its founding in 1921 by Giovanni Alessi. Beginning in the '50s, Alessi started commissioning works by the great designers of the day. 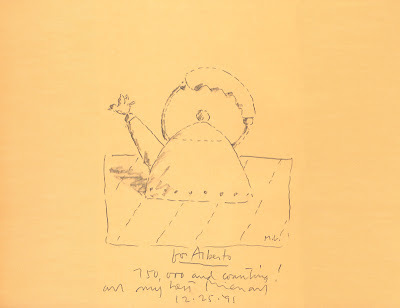 By that same time, the Alessi company had come under the direction of Giovanni's son Carlo Alessi. Bombé Tea and Coffee Service (1945). Designed by Carlo Alessi. 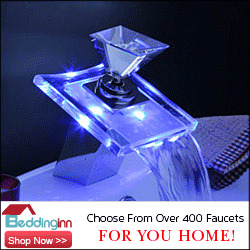 First produced in chrome-plated and silver-plated heavy brass, later in stainless steel, applewood. Image courtesy of the Philadelphia Museum of Art. Building on the work started by Giovanni and Carlo, Carlo's son Alberto Alessi has brought the company to what it is today. 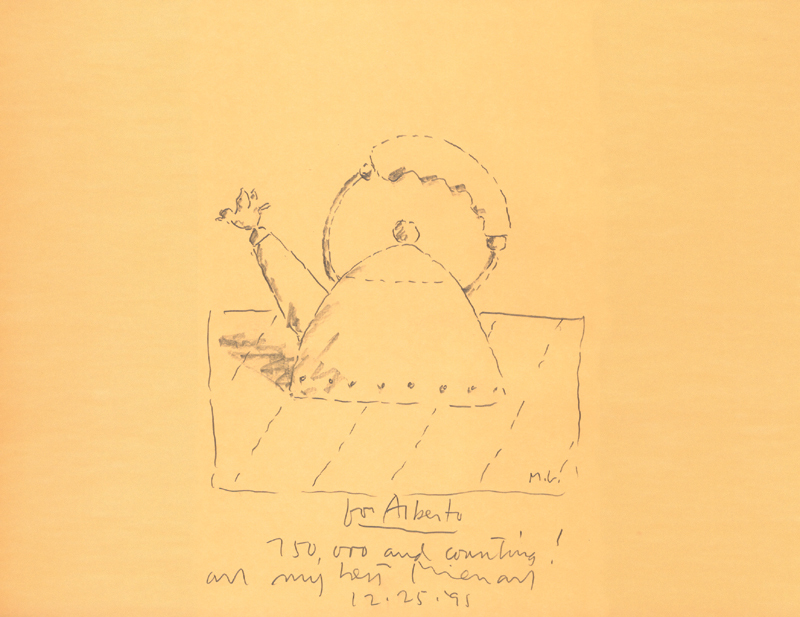 Under Alberto's watch, Alessi has brought in for collaborations such luminaries as Achille Castiglioni, Michael Graves, Greg Lynn, Alessandro Mendini, Ettore Sottsass, Philippe Starck and Robert Venturi. 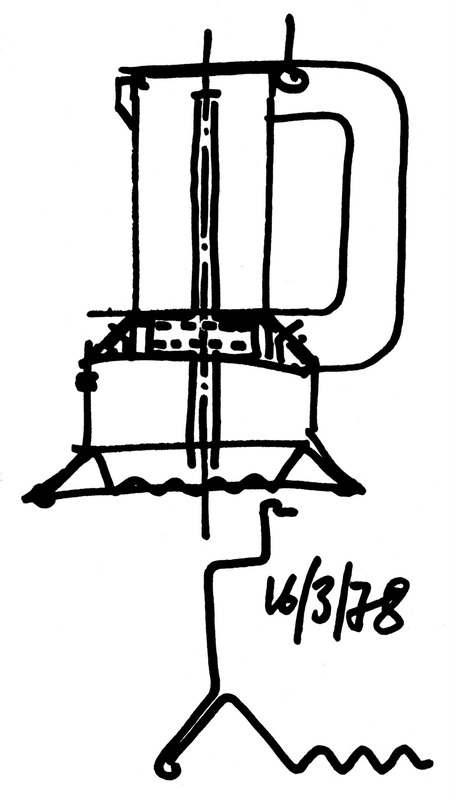 Sketch (1979), designed by Richard Sapper. Espresso coffee maker sketch. Philadelphia Museum of Art. Alessi archives. Image courtesy of the Philadelphia Museum of Art. (1979), designed by Richard Sapper. 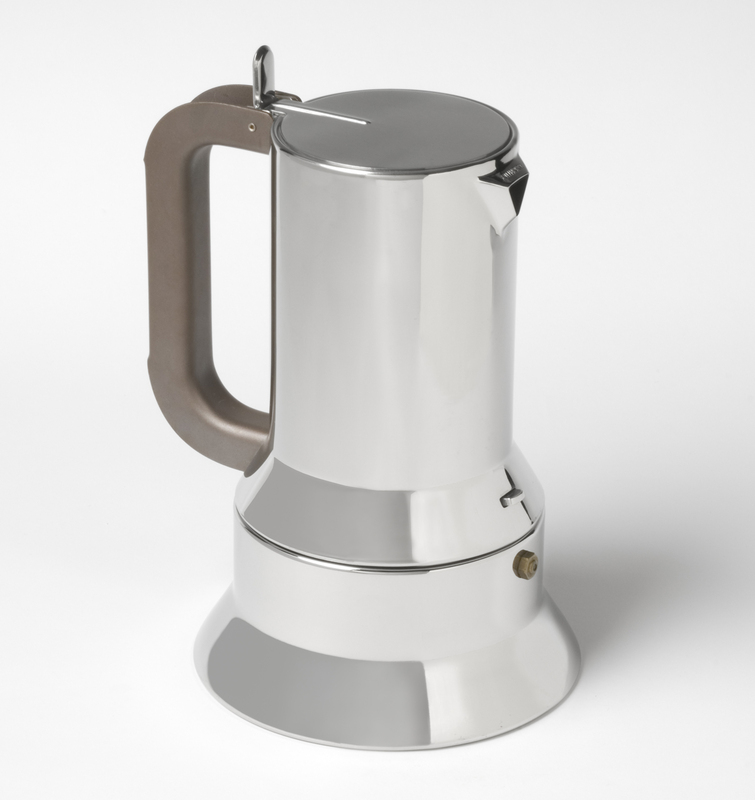 Espresso coffee maker. Philadelphia Museum of Art. Image courtesy of the Philadelphia Museum of Art. Different from any other modern manufacturer, Alessi has offered its collaborators absolute creative freedom and technical support in a series of radical, experimental projects, whether or not the results could ever be brought to production. 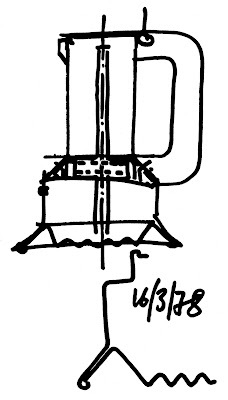 Sketch by Michael Graves. Kettle with handle and small bird-shaped whistle. Image courtesy of the Philadelphia Museum of Art. (1985), by Michael Graves. Kettle with handle and small bird-shaped whistle. Philadelphia Museum of Art: Gift of the designer. Image courtesy of the Philadelphia Museum of Art. Alessi: Ethical and Radical includes objects, drawings, videos, and photographs that demonstrate the company’s unique approach to design and unique way of working with its designers. If you are in or near the fair city of Philadelphia at any point in the next five months, please go see this exhibition. I am toying with a return trip to my homeland and this exhibit just about clinches it. If you find yourself in that part of the world, everything you need to know about the museum in general and this exhibition in particular can be found on the Museum's website. If you go, let me know. I'd love to hear some impressions of Alessi: Ethical and Radical. Thanks Cindy, it was the sketches that drew me in. I love seeing glimpses of how industrial designers work and those sketches do just that on a very intimate level. That museum is a wonder, there's no other word for it.